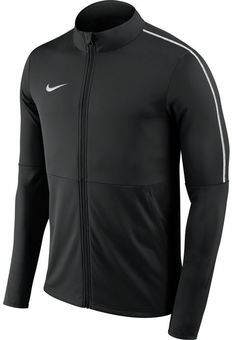 Nike Dry material wicks away sweat and help keeps you dry and comfortable and ensures a comfortable wear. Stand-up collar and extended seam on the back ensure protection and comfort. Lined front hand pockets for extra warmth. One large zip on jacket allows for easy to put on and take off. The slim fit and a extended back hem for speed and a slim look.